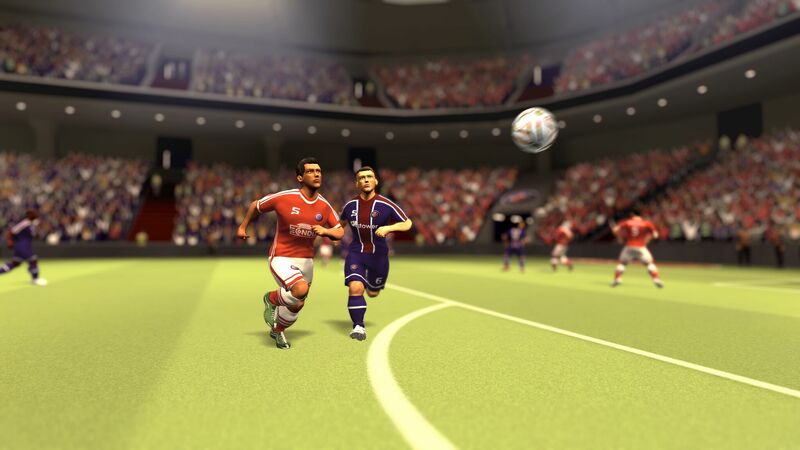 After a fairly dismal Kickstarter attempt in November 2015 there was more bad news for the developers of Sociable Soccer when its October 12th launch on Steam Early Access suffered a last minute-delay. However that turned out to only be a temporary setback as the indie soccer title finally made its debut on October 20th. At the time of writing Sociable Soccer is currently boasting a ‘very positive’ rating on Steam with 55 reviews, of which 81% are positive. That’s not bad for an Early Access title that’s only been on sale for four days – and it’s worth noting that these are all from actual purchases as reviews who purchased with a gifted Steam key no longer count. The few negative reviews highlight several bugs, weak AI and numerous pending features such as online play. However that’s all to be expected with an Early Access title, and to be fair to developers Combo Breaker they were very up-front up about this prior to launch. I can’t help but feel they really should have pushed to have online play available from the start – it’s not really sociable otherwise is it? But credit where it’s due, the development team have been extremely active since launch with two patches in the first four days to address many of the issues raised by users so far. It’s all a long way from the failed Kickstarter, which was rushed and poorly run. 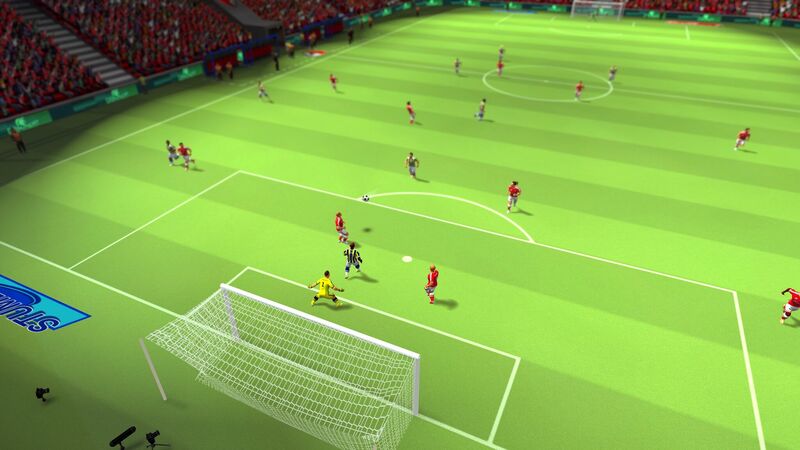 Back then the developers seemed to hope the spiritual successor to the much-loved 90s series Sensible Soccer would succeed on nostalgia alone. Admittedly it seemed to work early on, but the campaign quickly stalled and only raised 10% of the £300,000 ($394,000) target. At this point Combo Breaker and Jon Hare decided to pursue more conventional development channels for Sociable Soccer. As part of this process they recruited a Community Manager and regularly updated their dedicated website. It was much more professional – apart from the sensationalist ‘Faster than F####’ tagline that was quickly discarded (I’m pretty sure the F word there is FIFA by the way). And that brings up the main obstacle facing Sociable Soccer – the massive market share of the soccer market dominated by FIFA and PES. Of course both those franchises have increasingly strived for realism while Sociable Soccer aims purely for retro, arcade simplicity so it can be argued they aren’t in direct competition. However while I’m cautiously optimistic at this stage, I can’t help but recall when the equally well-loved Kick Off franchise was brought back almost two years ago with Dino Dini’s Kick Off Revival. It flopped pretty spectacularly with a Metacritic score of 34%. On the plus side, Sociable Soccer is already looking better than that ill-judged release.